Full HD support: 1080p@60Hz@24 bit/pixels. Supports LPCM 7.1CH, Dolby True HD, and DTS-HD Master Audio. Operates for TMDS clock frequencies up to 148.5MHz. 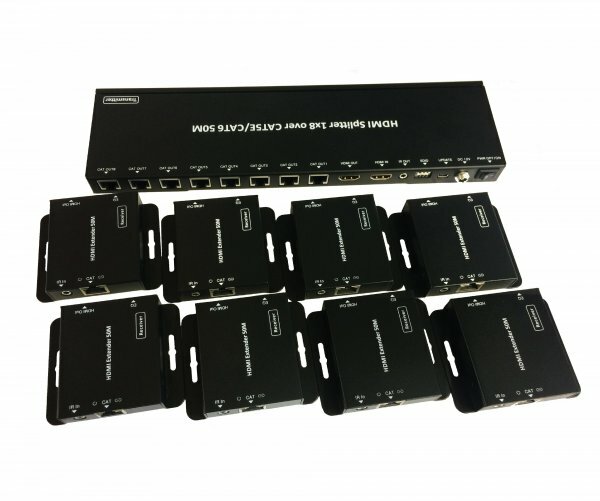 Support POC (Power Over Cable) function, so the receivers will not require an additional power plug. Use single UTP LAN cable (CAT5E/6) to substitute HDMI cable to achieve long distances transmission.